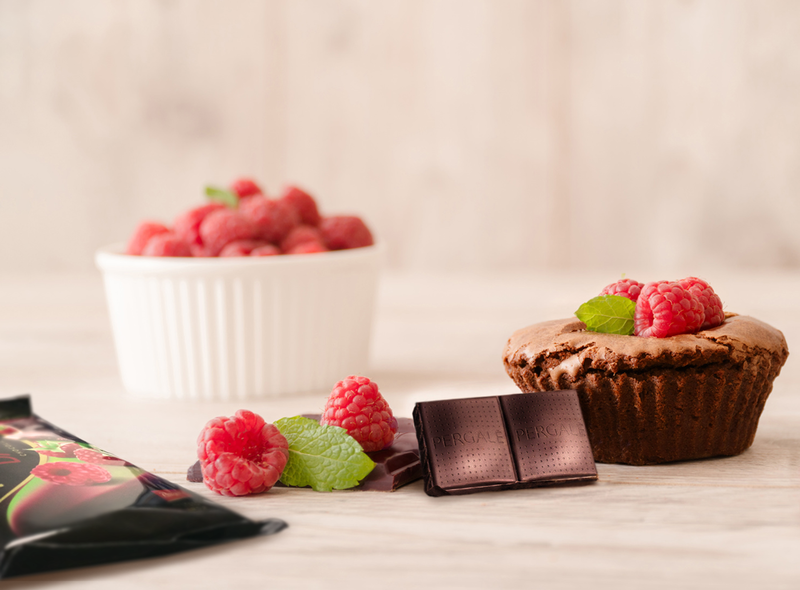 Forest Fruits and especially the raspberries are our favorite fruits to combine with chocolate! We suggest you make cupcakes with a soft a molten center and raspberries that will give a more fruity flavor to your dessert! Preheat the oven to 200 degrees. In a large bowl, mix the butter with the sugar for two minutes until it goes creamy. Add one egg and beat the mixture well. Add the chocolate melted (be careful, the chocolate must be cool, not hot) and continue blending until the mixture binds. In a cupcakes mold, you share the mixture, put 2 raspberries in each cupcake and continue with the remaining mixture. Bake for 10 to 12 minutes and then allow to cool for another 10 minutes. Remove from the molds and serve with sprinkled powdered sugar or more raspberries.